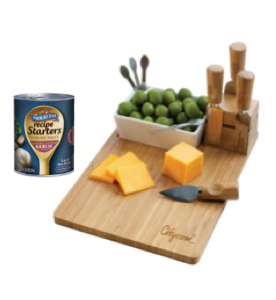 Game Day is one of the best days of the year to get together with friends and enjoy some delicious food and fun. 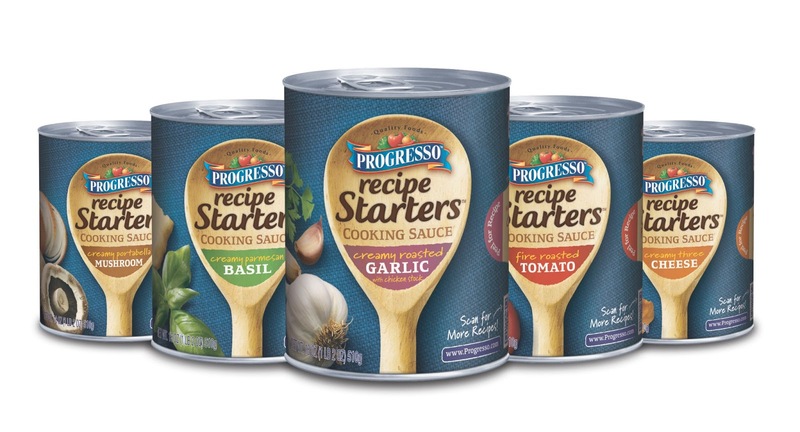 This year, let Progresso™ Recipe Starters™ be the perfect teammate and help you score big at your party. With plenty of recipe ideas for different Game Day snacks, Progresso™ Recipe Starters™ will make sure you have a crowd-pleasing performance. Creamy Parmesan Basil: This creamy, full-bodied and indulgent sauce that was inspired by alfredo and creamy pesto sauces can be used to make dishes such as Pizza Primavera and Slow Cooker Lasagna Alfredo. 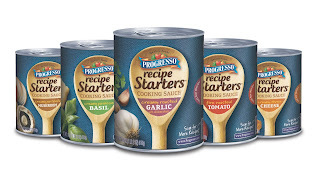 click here to download a printable coupon for $.65 off the purchase of 1 can of Progresso Recipe Starters. Giveaway~ 1 reader of Dnbuster's Place will win a Prize pack! crispy garlic parmesan chicken, yum! I'd like to try the easy white chicken chili. I would like to try the Bacon Cheese Stuffed Mushrooms. I'd like to try the Adobe Chicken Wraps. bacon cheese stuffed mushrooms sound great. I'd like to try the pulled chicken sandwiches. Yum! Would love to try the Crispy Garlic Parmesan Chicken!! Sounds so good! The chicken chili sounds yummy!! I want to try all of these recipes! They look great! I would like to try the Chicken and Ham Slab Sandwiches. I would like to try Chicken Fried Steak with Garlic Cream Gravy. Bacon cheese stuffed mushrooms would be a crowd pleaser. I have been wanting one of these for years, so hope I win. The Crispy Garlic Parmesan Chicken looks like a real winner for my family. The Buffalo-Chicken Potato Bake sounds yummy! Bacon Mac N Cheese for my husband. I'd like to try the Bacon-Cheese Stuffed Mushrooms.